Justin’s quest for the car he’d first owned as a young man took perseverance, a bit of luck and a whole lot of eBay watching. 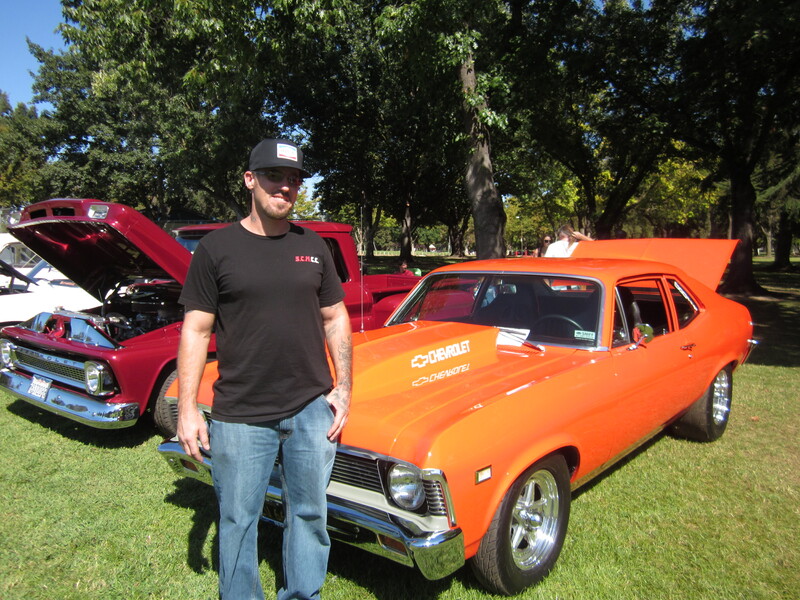 He purchased the 3rd generation 1968 Chevy II Nova nearly 9 years ago after finding it offered on eBay. “I was afraid to buy a car off of eBay,” he said, but the car called to him. He kept his eye on the car, housed a day’s drive from his home, and watched the bidding increase. When the bidding ended, he contacted the owner and drove down to take a look. “I offered the guy about a thousand dollars more than what the bidding went to,” he said. It seems like the fellow didn’t actually want to sell the car but his dad had cancer and about six months to live and the pair wanted to finish restoring a ’57 Chevy first. Justin’s timing was perfect and the car with its black and gold plate was exactly what he was looking for. 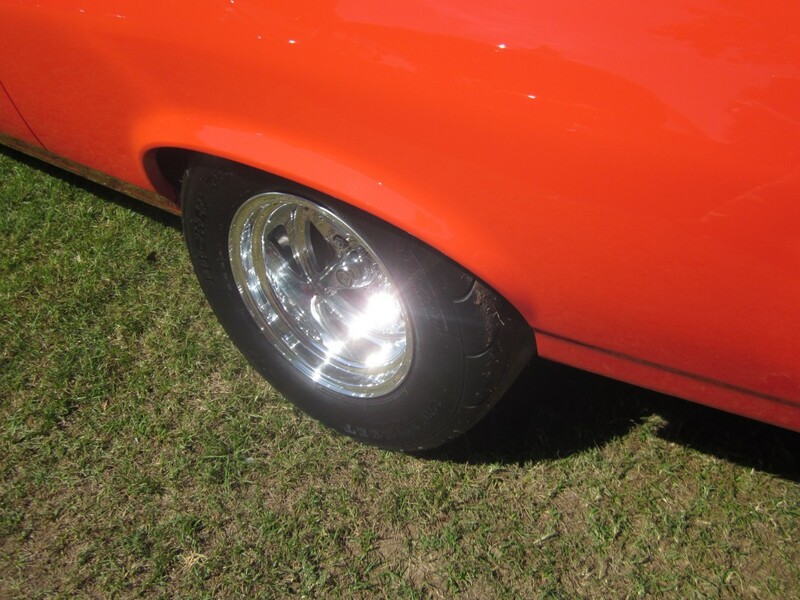 Justin took the car home where he said that he built it once – rear end, transmission, interior and suspension. “And then I ripped it all apart and built it again,” he said. A labor of love for his first crush. 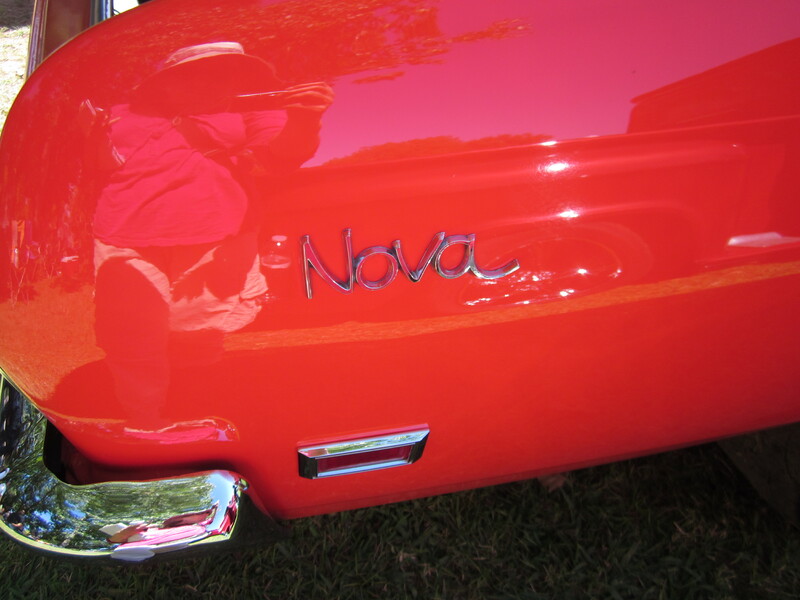 “There’s nothing on the car that hasn’t been touched by me except the paint,” he said. The color is hugger orange and can also appear yellow or red depending on the light. It’s bold and not a color typically found on a family car, but there also aren’t many family cars sporting 630 hp and that have raced and won on Pinks: All Out. 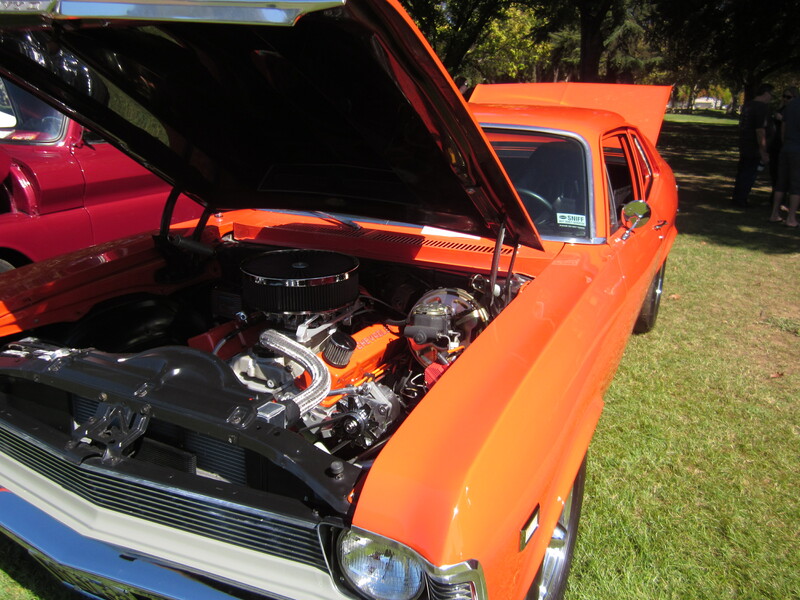 He removed the inside of the car, the inner fender walls, then replaced everything and seam-sealed to keep the car’s unibody from flexing and bending under the power of the 410 cubic inch small block Chevy and that 630 hp. “The car is more solid than before,” he said. 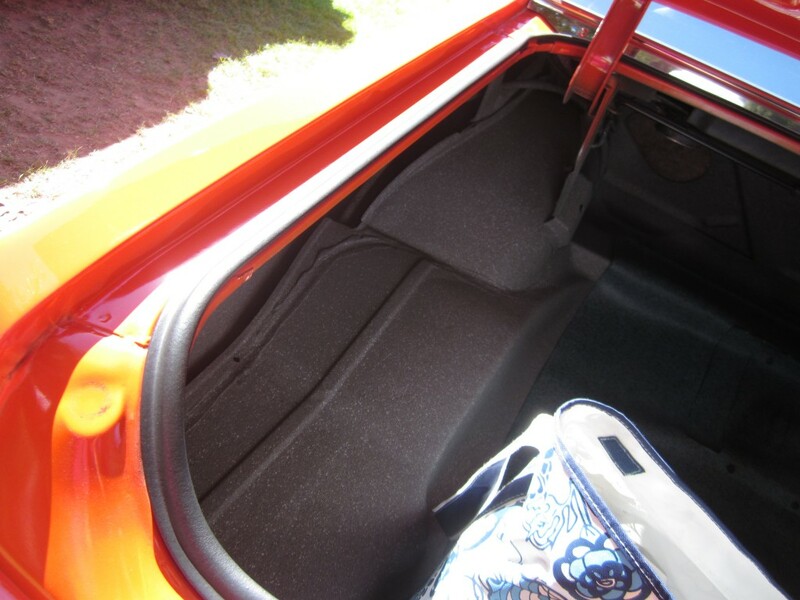 The car sports all original parts except the hood, which is fiberglass, in order to provide clearance for the carburetor and intake set up. He did change out the front bench seat, however, for buckets. 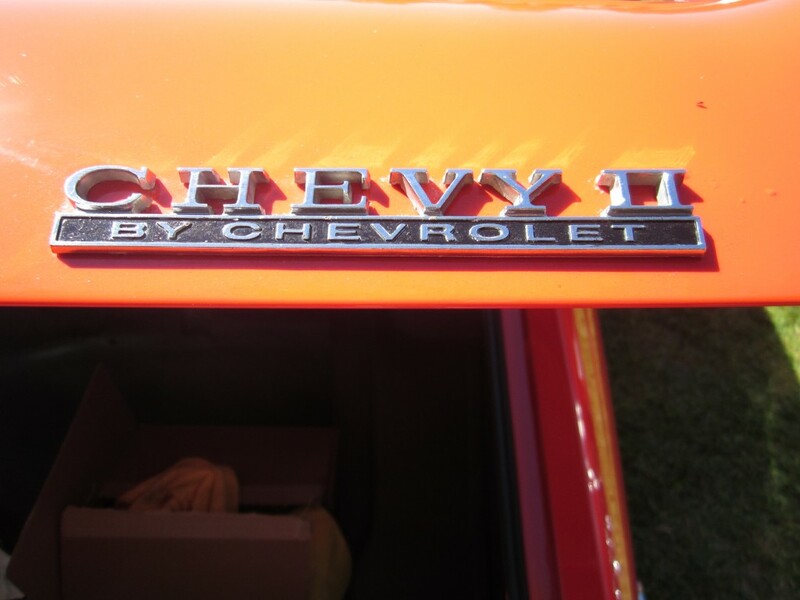 The grills, sidelights and taillights are original. Justin is unwilling to settle for anything that doesn’t say 1968.